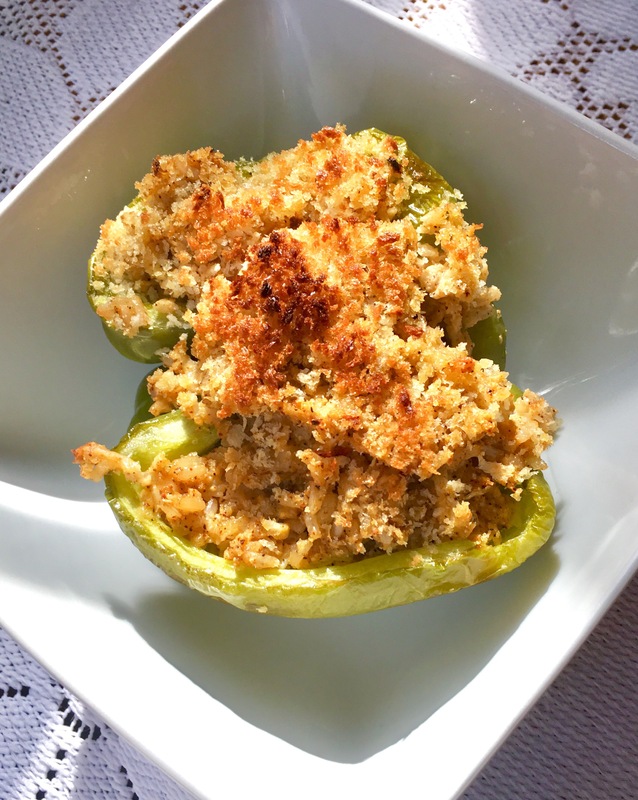 Cauliflower and Rice Stuffed Peppers – Midnight Munchies & More! This is vegetarian but can easily be made vegan by omitting the Parmesan cheese and replacing it with vegan ‘cheese’ shreds. I also used vegan ‘cream cheese’ in this. I like to cut my Peppers in half and fill them that way because it’s a better filling to pepper ratio and it yields more. Cut your Peppers in half and clean them out. Place them on a baking sheet and roast for about 20 minutes. While your Peppers are cooking, rice your Cauliflower and boil for about 3 minutes then drain. Mix Cauliflower, cooked rice, spices, vegan cream cheese and Parmesan together in a bowl. 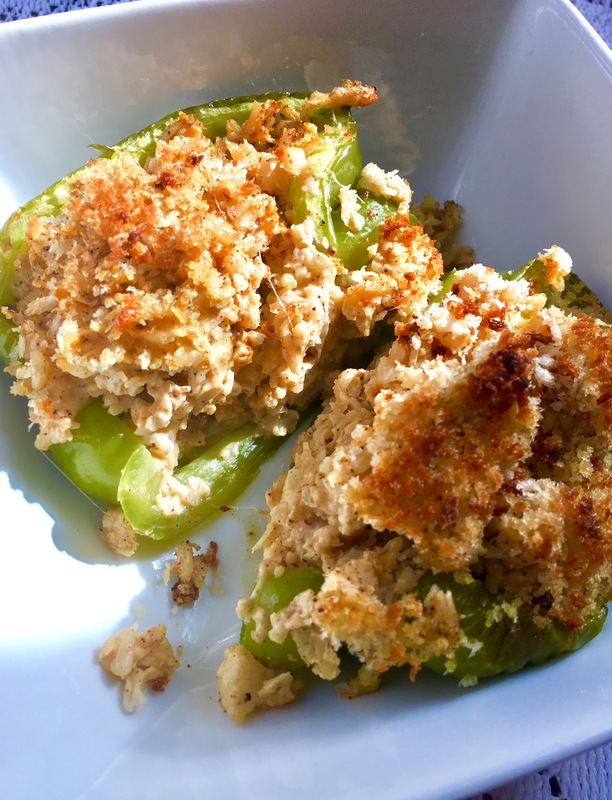 When peppers are done, fill with cauliflower rice mixture and top with bread crumbs. Bake for about 20 minutes until nice and brown on top! Feeds 4 or you can have leftovers for lunch the next day!